Your all familiar with those plastic eggs that come around this time of the year for Easter. I always had Egg hunts in the backyard when my kids where young. That was so much fun hiding the eggs, then watching them running back and forth all over the yard looking for that one egg. I always had that one egg…the big prize egg! Inside I tucked a bill inside and some special surprises! 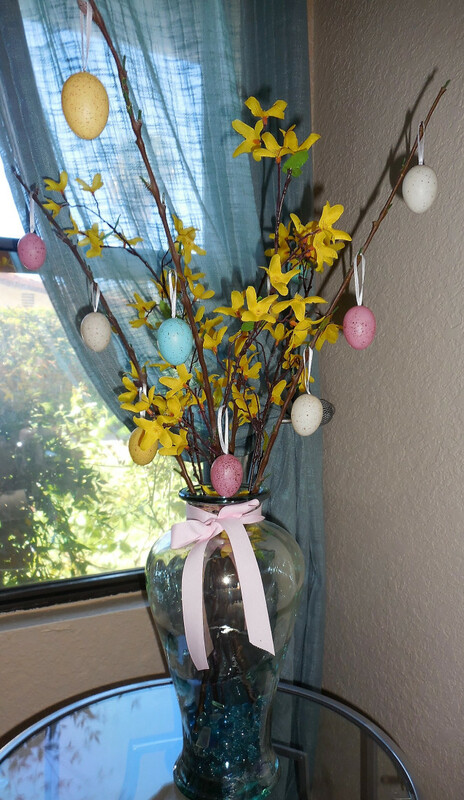 So thinking of the golden eggs…why not make your own. I took the plastic eggs outside to spray…. The Krylon is a little more in price….but it goes far. I still have both cans after doing all these projects with it. I guess the point I am trying to make here is….these cans finish a lot of crafts, so hang on to them.The metallic s add so much shine and sparkle! See how easy it is to make a regular bowl give more presence to the room, when it is lifted up under the candlestick. This is a work in progress…hahaaa.